The Rally to Restore... Porta Potties? Despite what Sesame Street informs us, sometimes it's not so easy to share. Case in point: The Marine Corps Marathon has ordered portable toliets for the Oct. 31 event -- but it doesn't want attendees of the Jon Stewart and Stephen Colbert rallies using them the day before. 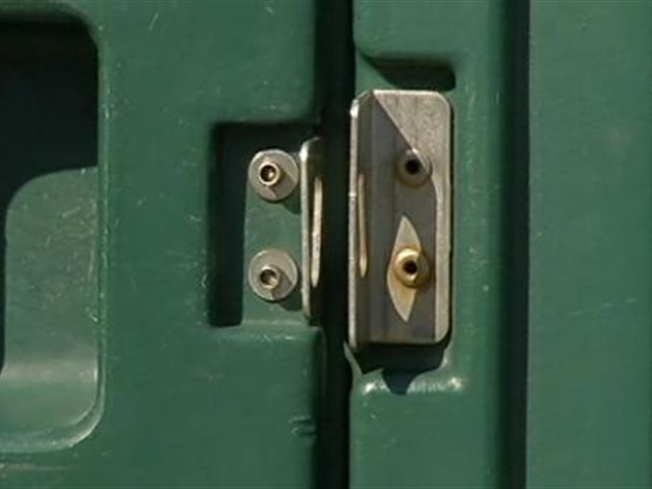 Race director Rick Nealis said he plans to put metal padlocks on about 100 portable toilets on Oct. 30, reports the New York Times. That's when Stewart's Rally to Restore Sanity and Mr. Colbert's March to Keep Fear Alive are scheduled to occur on the National Mall. Nealis ordered 800 porta potties for the 26.2-mile race course, and said he knows that organizers of the Comedy Central rallies have run into trouble finding porta potties to rent. He said he usually used plastic strip ties to keep interlopers out of the units on the eve of the race, but was tightening security this time with "real, live" padlocks. "It will cost me a few extra pennies, but it’s worth it to know that my runners won’t run out of toilet paper," he said. Wrote one 2009 Marine Corps Marathon runner on Yelp.com: "Porta potty lines were long.... No shame on race day. Plenty of people dropping trough [sic] on the side of the roads." Let's just hope we don't see the same from restroom-challenged rally-goers on Oct. 30.